Uplighting is the art of painting with light to create a truly magical background. 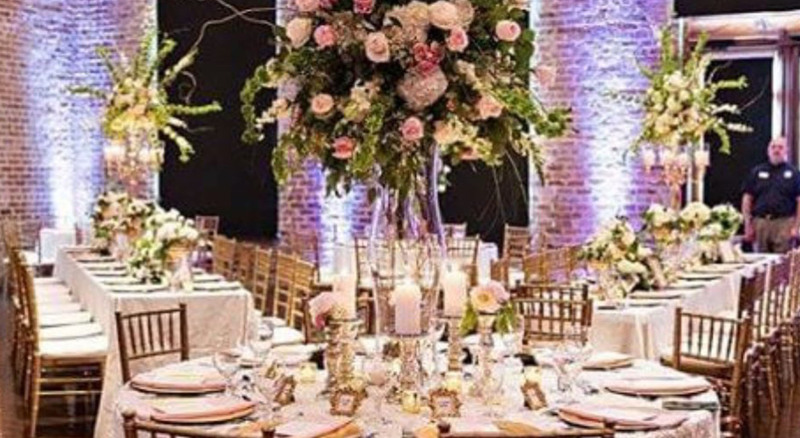 Using light to bring out the colors of your wedding and/or event, your bridesmaids dresses, your flowers and the aspects of the room help create a truly unique and exceptional wedding aura. 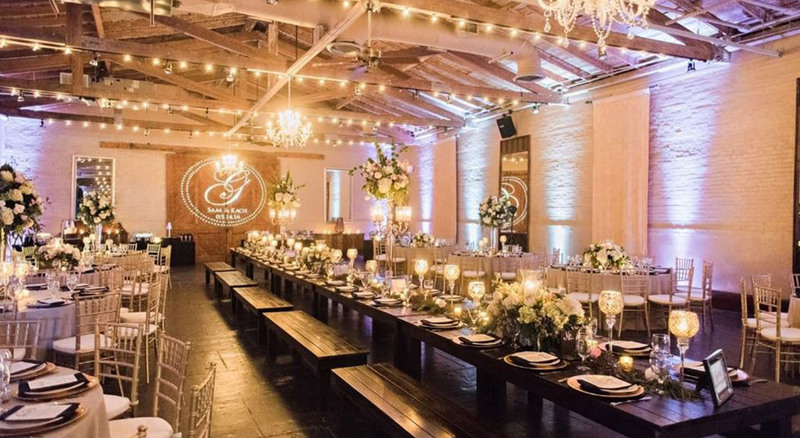 When coming up with a budget for your wedding think about uplighting. For a fraction of the cost of extra flowers, favors, or other types of decorations you can add the elegance and impact of painting with light. 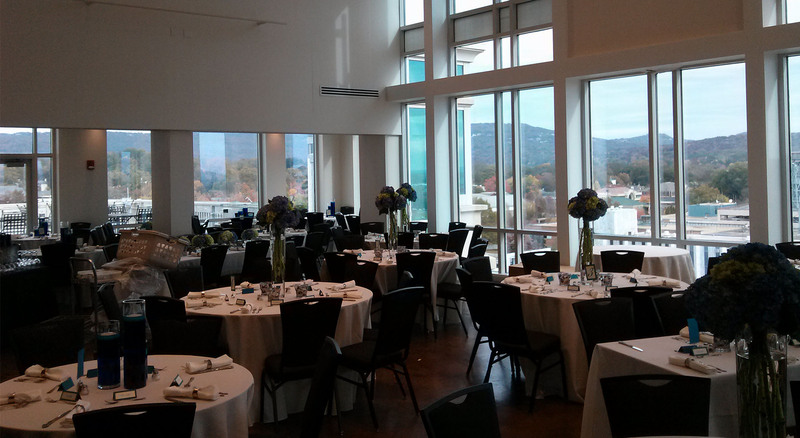 It looks great in photos as well, adding color to the background of ordinary candid’s of your reception. If you reception is outside we can add elegance and color to the trees or outside walls of you reception.VIP uses low profile, ac/battery powered LED par cans that allows us the freedom to set up the led uplighting without cords running all over the room and without the restrictions of power. Low profile, battery powered LED par cans used to accent your reception venue to create a truly magical background! 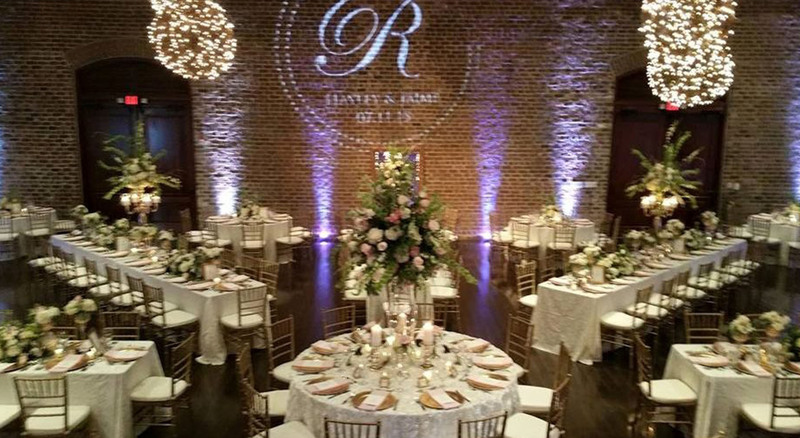 Monogram lighting is the ultimate touch in personalizing your wedding decorations. This is by far one of the most cost-effective and elegant ways to create a unique and inviting entertaining space. A monogram light with your personalized design that you choose creates a high impact focal point in the room providing the perfect backdrop showing off all the beautiful work you’ve put into the cake, flowers and décor. 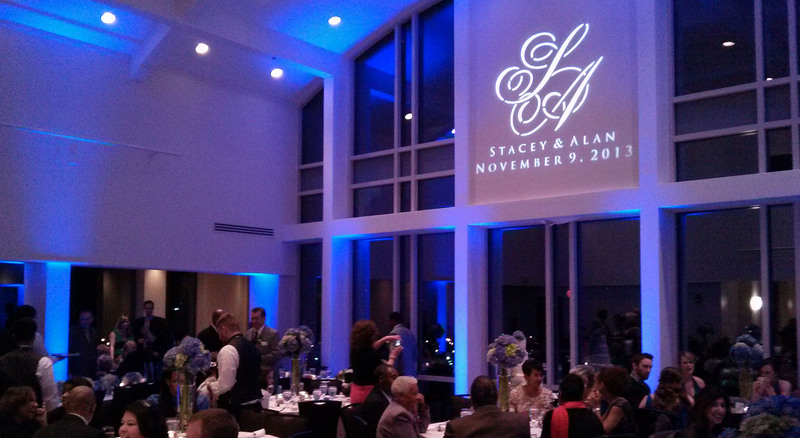 Monograms are usually projected onto the wall of the event hall. We must have two weeks notice to order monogram design. Click here to download our Design Templates! 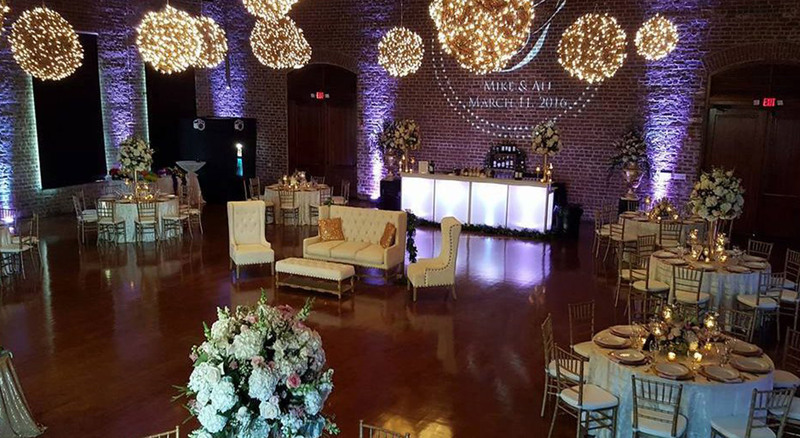 Both uplighting and monogram lights may be included for one discounted price.